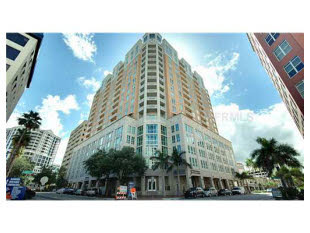 1350 Main St. #803 SOLD Downtown Sarasota Penthouse This is the best location in Downtown Sarasota, just walk out of the building and within a couple of minutes you have your choice of coffee shops, bars, restaurants, shopping, theatres and Opera. Or stay in the building and enjoy the amenities that include huge outdoor heated pool, BBQ area, state of the art fitness club, business meeting rooms,social rooms,guest suite. All this with 24 hour concierge, on site management, a/c storage room, and excellent security. And yes the views from this home will take your breath away!